Been enjoying going to lunch at the Americana at Brand, but those are my work-day eateries and I will probably write about those later… However, today’s Charge It! 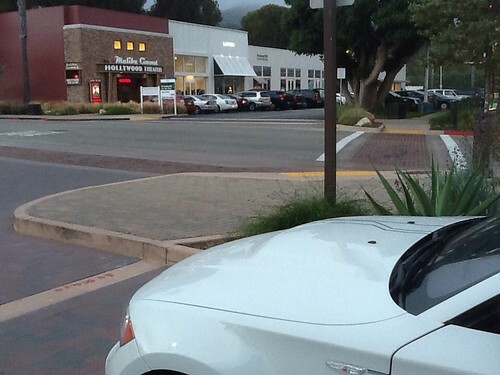 location is Malibu Country Mart. To recap, Helm’s Bakery and Santa Monica Place were our first two locations for the series. The charging station at this location is not on either of the two charging networks that I use (Blink or Chargepoint) and thus its a matter of faith to determine whether or not the charger will be available when getting there. It’s an Aerovironment charger that Recargo’s notes says requires an RFID card, however, this was not the case when I got there (luckily). 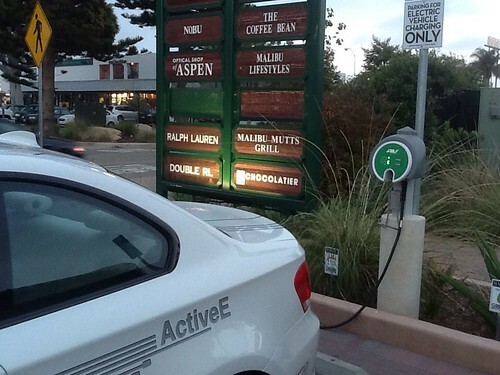 The charger station is right at the entrance to the Malibu Country Mart market area. The Nobu in Malibu has been in existence for over a decade (1999, I believe). Being Malibu, have to blend in with the natives and my better half requested that I NOT take pictures of our meal, therefore, a food entry with no pics. However, seeing that Nobu Matsuhisa has been in business for a while, I do recommend that you peruse the link to his website for the food pictures. As with a lot of Japanese restaurants, Nobu is best experienced if you enjoy the meal sharing many small dishes with your dining companions. I did not enjoy the Miso Black Cod at this location, though that is quite a good standby for anyone who visits Nobu for the first time. Since this was our first trip to the Malibu location, we decided to try a few of their specialties, so we had the Tai Sweet Shiso with Crispy Shiitake and several of their Mini Tacos. Additionally, the sushi at Nobu is top-notch. However, it is also priced higher than other Southern California sushi bars that feature fish at the same quality level. At the end of the day, a lot of less expensive restaurants feature food at the same quality as Nobu Malibu without the location or the expense. Don’t get me wrong, I did enjoy myself and the food was excellent. However, other restaurants have caught up to the quality of meal that Nobu provides at a fraction of the cost. 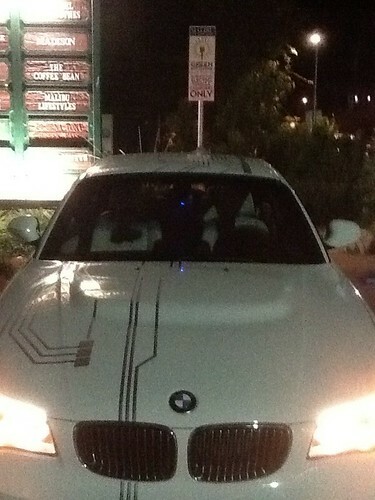 Charging your EV may be free, but you’re definitely paying for the meal.